Preparing our clients and community for the future is our highest and best use. Weissman zoning professionals effectively advocate land use interests and draw on our extensive experience with local governments and officials throughout the state of Georgia. Our ongoing representation of builders, developers, neighborhood, community and civic associations, governmental entities, lenders, investors, and property owners provides our professionals the unique perspective to analyze all sides of an issue to persuasively advance our client’s desired goals. Our zoning and land use team’s broad experience includes matters such as rezoning apartments, condominiums, mixed-use developments, commercial and industrial developments, and subdivisions. Continuing in the Weissman tradition of pioneering new ground, Seth Weissman co-authored the 2013 book, Zoning and Land-Use Law in Georgia. Published by the Council for Quality Growth, this is the first resource of its kind. For more information, or to order, visit www.georgiazoning.com. 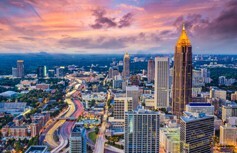 While our attorneys have significant experience in the metropolitan Atlanta region, they have successfully assisted clients throughout Georgia.